Steve began martial arts with Judo and Jujitsu at the age of 12 while living in Brazil. He again took up these arts as an adult, but in 1982 switched to Aikido after taking a few classes with George Simcox sensei, the longtime Chief Instructor of the Virginia Ki Society. 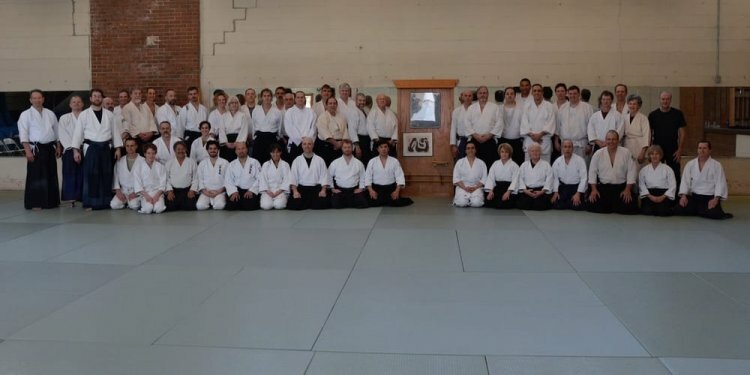 In his early years as an Aikidoist, Steve had extensive exposure to Shizuo Imaizumi sensei, then head of the New York Ki Society, along with Koretoshi Maruyama sensei who was serving as the Chief Instructor of Ki no Kenkyukai (Ki Society International). Later Steve often trained with Koichi Kashiwaya sensei who was acting Chief Instructor of the United States. Following the death of Simcox sensei, Steve was appointed co-head, and later head instructor of Northern Virginia Ki Aikido. Since the age of 18 Steve has traveled around the world as a professional musician and he also maintains a busy schedule as a yoga teacher. Wolf sensei holds the Shinshin Toitsu Aikido rank of Yondan and the Shinshin Toitsudo (ki development) rank of Joden. He is also a Qualified Assistant Examiner in Ki Aikido. Associate Ki Lecturer, Sandan, Chuden. 2929-E Eskridge Road, Merrifield Virginia, near the intersection of Lee Highway and Gallows Road, close to the Merrifield Post Office and the Dunn Loring Metro Station.